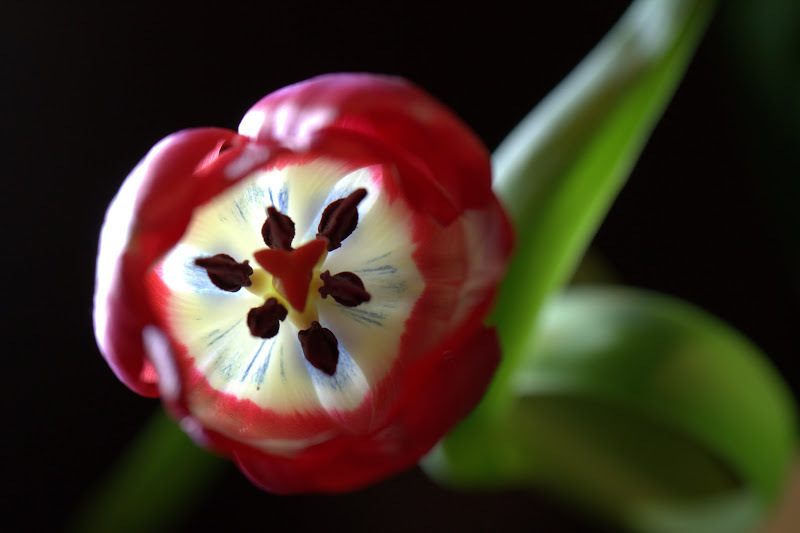 - This is kind of an odd view from above of a tulip bloom. The back lighting from underneath is illuminating the inside of the bloom. At first I wasn't sure that I liked this photo but there was something about it that caused me to come back to it. I think it was just the vantage point. Canon 7D, 1/200 sec @ f/5.6, ISO 400, 100mm macro.